Download, mount and expand the package (see below) and grab a copy of dmtest from within the expanded package RecoveryHDUpdate.pkg/Scripts/Tools/dmtest. Mount your InstallESD and grab BaseSystem.dmg and BaseSystem.chunklist from the root of the disk. We will need these files in the next step. Create another directory in Deploy Studio’s repository called Tools. Under the new Tools directory copy in the dmtest utility and create sub-directories for the BaseSystem files for each InstallESD. 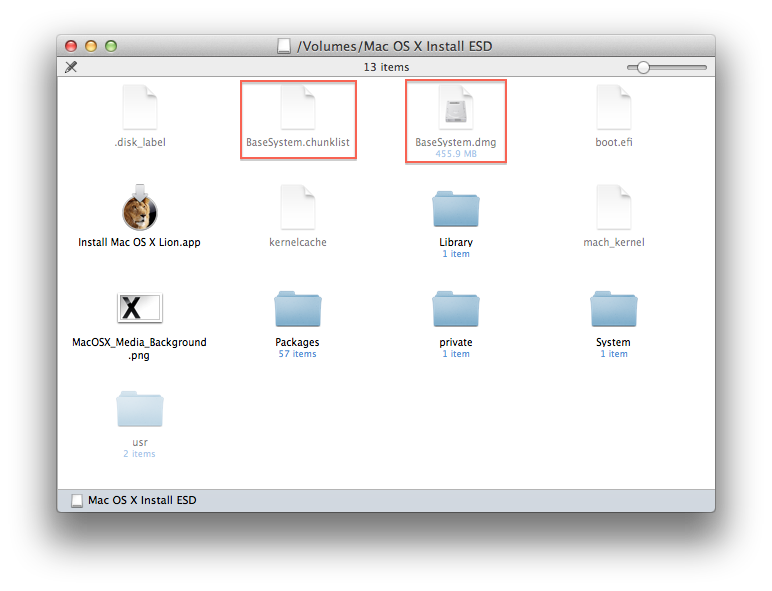 Name the sub-directories so you can easily reference the specific BaseSystem files such as “L” for the latest Lion or “ML” etc. Add the script task to your workflow after the imaging task and make sure it’s not set for postponed execution. In the script parameters box enter the subdirectory of your BaseSystem files. Now, run the workflow and watch the client log. When it’s finished you should find a freshly created Recovery HD. When Apple releases each minor OS revision replace the BaseSystem.dmg and BaseSystem.chunklist files as needed and for hardware specific OS builds just drop the new BaseSystem files into a new sub-directory and reference via the workflow. 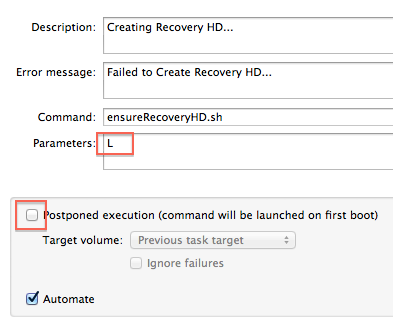 You could also just use the package that creates Recovery partitions with Deploy Studio — just have a workflow that installs that package as a postponed installation.